Hi - We are Joe and Linda. 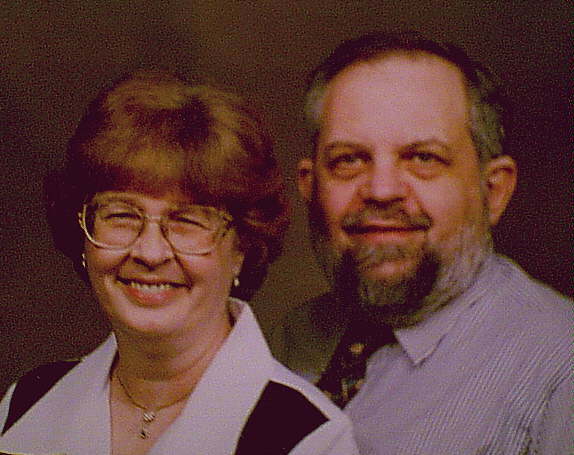 Joe is a 72-year old retired software engineer and Linda is a 70-year old homemaker. Joe was trained as an electronics repairman in the United States Air Force. Intrigued with computers, he started building his own small computer in 1964 prior to the advent of small computer systems known as minicomputers and more than a decade before the microcomputer revolution which has lead us into the personal computer era. He completed his home-built computer in 1967. Initially finding work as a computer operator, Joe soon advanced to computer programmer, and later to software engineer, the role he would assume for over 30 years writing real-time control software, machine directing software, data reduction and analysis software, and graphic and animation software. Later, Joe would finish off his career with 10-years of writing software used by many of the county boards of elections of Ohio. Joe also has significant knowledge of electrical, electronic, and mechanical systems. He is good with hand and power tools. He can weld a bit. He has a personal interest in programming and owns more than 25 computers of widely varying vintage. Joe is interested in sparking interest in science topics in children. Joe has a daughter, a grandson, and a grandaughter. Joe lost his first wife of 30 years to colon cancer. Linda has been a homemaker for 52 years, 33 years with her first husband and 19 years with Joe. She has also worked as a custodian, a cemetery operator (including office work and groundskeeping of 26 acres), industrial assembler, bookkeeper, bank proof operator, secretary, homecare person for the elderly, county title department clerk, stock person, cashier, receiving clerk, and snack bar operator. She has worked as a volunteer at a hosptial and with AIDS patients. Linda is an avid collector of VHS, DVD, and Blue-Ray movies, Coca Cola collectibles, Mickey Mouse collectibles, collectible Barbie dolls, and old music boxes. She loves children. Linda has two sons, two grandaughters, and a grandson. Among their other interests, Joe and Linda have a 1972 Rockola jukebox that they acquired through eBay (where else?) in 2001 and have now collected approximately 6000 45-RPM records to go with it. They wish they could compile a database of information from the record labels but never seem to be able to find the time. They are especially interested in the old rock and roll records from the 50's, 60's, and 70's as well as the standards of the 40's. If you have 45-RPM records that are looking for a new home, please email Joe and Linda. They have since acquired two more jukeboxes, a 1954 AMI model, and a 1980 Rockola Techna 480 but they will need some work to bring them back fully to life.